Tip #1: Dress with a purpose. As a singer, you are a performer and people are watching you perform your best vocal abilities. So to be taken seriously, you need to look the part of a performer. Choose an outfit/look that would enhance your performance, not take away from it. Or in other words, dress with a purpose. Looking back, as a ballad crooner, I chose long dresses with a flawless bun and sparkly jewelry. At the time, I felt that look was perfect for the slow love songs I competed with, as I wanted to create a romantic, mellow mood for my audience. The purpose of my look was not only to be presentable as a performer, but to also establish a certain feeling for my listeners. Tip #2: No matter what event you’re performing for, you’re important. So dress up. At Hmong sports festivals in the hot summers, folks are not walking in high heels or strutting in their best formal attire (well, maybe a few). However, these individuals are here to be entertained and relax from their daily lives. You, on the other hand, as a singer, are there to entertain. I know you might feel a bit out of place ‘cause you’re all decked out and no one else is. But once you get on that stage, you’ll forget all that. (Trust me, your nerves will be much more important.) Because after you get off stage, through clapping, bringing you flowers, cheering, and even standing up for you, people will take you seriously and also show respect for you as a performer, knowing that you came prepared to perform by dressing up and performing your best. Just think—when the mayor comes to the Hmong New Year, s/he will likely be dressed in business attire, indicating that s/he is an important individual that has a purpose within the celebration. You are also an important individual who has a purpose at the event. Therefore, as a singer, dressing up is a requirement. Tip #3: Casual wear is out. I’ve seen this quite often. It’s hard to take a singer onstage seriously if s/he is performing in jeans and sneakers. It really is. Casual wear leaves an impression on others that your performance is just that: casual, defined in the dictionary as “relaxed and unconcerned.” It looks more like a rehearsal than an actual performance. Just imagine me performing, “Nyob Ib Sab” at the Hmong International New Year on their grand outdoor stage where people from all over the world are celebrating the Hmong New Year and here I am singing in a casual sweater, jeans, and flat boots. Uncomfortable, right? Yeah. Judge’s Note: You ARE being judged on your appearance, meaning it is an actual judging criteria on the score sheet. It is also the easiest area to earn points, if you look your part. Bottom line: No matter what, when you’re going on stage, dress up with a purpose! 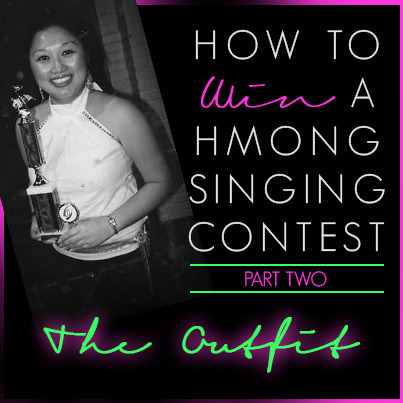 Hope you enjoyed Part Two of my “How to Win a Hmong Singing Contest” blog series. Catch Part One, here. And as always, feel free to leave me a comment/question and make sure to look out next week for Part Three! Special Note: This blog is an open avenue for my thoughts, reflections, opinions, and ideas. I speak for myself. These words do not necessarily reflect the opinions of anybody for whom I work or to whom I’m related. 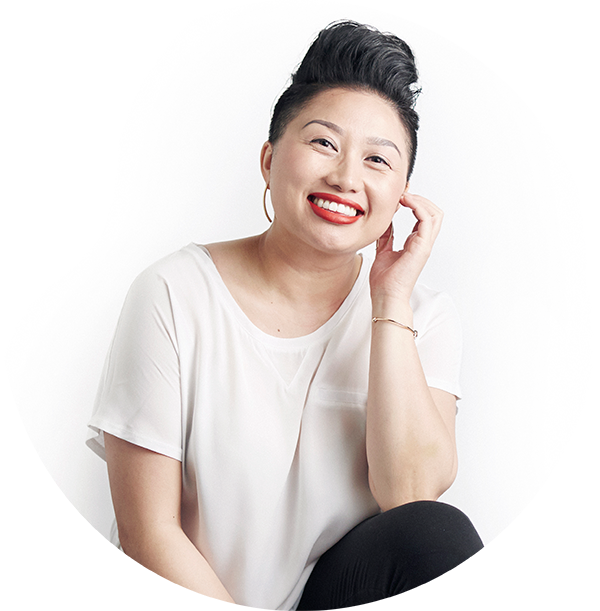 Also, the advice shared through the “How to Win a Hmong Singing Contest” blog series is a collection of my own personal experience in competing in and judging Hmong singing contests. With that said, this is simply a guide and therefore, you as the reader should use it at your own discretion. Tej yam twg zoo mam li khaws, tej yam twg tsis zoo muab pov tseg. Giving advice to others on a personal experience brings great joy to me and I only hope that this blog series will be used with good intention and be put in the path of those who need it most. May our Hmong community be overwhelmed with outstanding singers in the years to come! Good luck! Are you on the mailing list?